Situated in the Atacama desert the the Awasi Atacama lodge originally housed shepherds and herders. Today the property has been renovated into a state of the art boutique hotel and hosts travelers from all over the world. It’s sibling, Awasi Patagonia, is the definition of understated elegance. Only two years ago 12 separate villas were constructed where Florence Dixie, a british adventurer, once camped. The amenities are just about as incredible as the views. 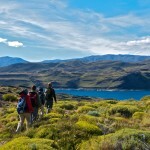 Follow the link to browse through photos and learn more about the Awasi Patagonia luxury lodge. Deciding when and how to travel to Chile can be a daunting undertaking. Let us help you! Give us a call at 612-315-2894, e-mail us at travel@knowmadadventures.com, or fill out a Design Your Trip Form and we can get you headed in the right direction. Visit both Chilean Atacama and Patagonia in one trip and we will give you a special 10% discounts plus a complimentary night at the W Santiago when staying at both Awasi properties. Minimum stay of 3 nights in each Awasi hotel. / Not valid for travel dates between December 20th, 2015 and January 2nd, 2016. / Based only on double occupancy. Want to create a trip that incorporates both the Atacama Desert and Patagonia? Don’t hesitate to give us a call at 612-315-2894 or e-mail us at travel@knowmadadventures.com, we’re always happy to talk travel. Explore the desert with your family and enjoy special discounts, such as kids free of charge. Valid for a family of 5. We offer special discounts on new reservations for families who visit us between May 1st and September 30th, 2015. / Additional bed in Rectangular Suite accompanied by 2 adults (maximum one additional bed). / Children up to the age of 12 free of charge. / Children between 13 and 18 years of age special rate of 70% discount from the All-Inclusive Program. / In separate room: First child pays regular rate. Second child up to the age of 18 special rate 70% discount from the All-Inclusive Program. Third child up to the age of 18 free of charge. Maximum 3 children per room. / For families looking for a holiday with an educational element, we have designed a series of inspiring activities from sand boarding to horseback riding, biking, cooking classes, astronomy, traditional craft lessons, and visits to archeological sites and museums. 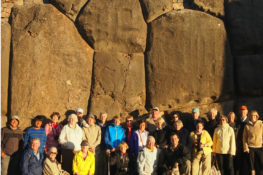 On this program, all family members will learn about the ancient culture and the natural history of the Atacama Desert in an entertaining and interactive way. Looking to take the whole family to Awasi Atacama, but want to explore the rest of Chile as well? Don’t hesitate to give us a call at 612-315-2894 or e-mail us at travel@knowmadadventures.com, we’re always happy to talk travel. Book a minimum of 3 nights at Awasi Atacama and get one additional night free of charge. Based only on double occupancy. / Bookings between May 1st and Sept 30th, 2015. Excited about the possibility of going to the Atacama Desert, but want to explore other regions of South America too? Don’t hesitate to give us a call at 612-315-2894 or e-mail us at travel@knowmadadventures.com, we’re always happy to talk travel. Deciding when and how to travel to Peru can be a daunting undertaking. Let us help you! Give us a call at 612-315-2894, e-mail us at travel@knowmadadventures.com, or fill out a Design Your Trip Form and we can get you headed in the right direction. Book 3 nights for the price of 2. Room upgrades upon availability at time of booking. Valid for Comprehensive and Full Board program stays between Thursday, January 8th – Tuesday, March 31st 2015. / Valid only for new confirmed bookings made between Thursday, January 8th – Saturday, March 28th 2015. Not combinable with other promotions. We would be happy to help you plan a trip to Lake Titicaca and other areas in Peru. Don’t hesitate to give us a call at 612-315-2894 or e-mail us at travel@knowmadadventures.com, we’re always happy to talk travel. Deciding when and how to travel to Ecuador can be a daunting undertaking. Let us help you! Give us a call at 612-315-2894, e-mail us at travel@knowmadadventures.com, or fill out a Design Your Trip Form and we can get you headed in the right direction. The brand new Cormorant incorporates the very best of Galapagos Catamaran design. The modern and ample accommodation includes jacuzzi, huge sun deck and a private balcony for each of the spacious staterooms. Kayaks are also available for use. Inquire for excursion descriptions and islands visited. One of the newest and most luxurious catamaran style boats in the Galapagos, the Ocean Spray offers ample social spaces and the most up-to-date amenities while still offering an intimate, small-ship experience. The elegant design includes a huge sundeck, Jacuzzi and spacious cabins each with private balcony. For more information and photos of this Galapagos cruise follow the link. Are the Galapagos Islands on your bucket-list? Don’t hesitate to give us a call at 612-315-2894 or e-mail us at travel@knowmadadventures.com, we’re always happy to talk travel. Travel to Antarctica on the Ocean Endeavour and Save up to $2,300 per person! Book before March 1, 2015 and save $1500 per person on premium cabins and $1000 on non-premium cabins on all Ocean Endeavour departures PLUS recieve a Free Charter Air and Hotel Package (valued at $800). Want to visit the 7th continent, but a need a little help planning? Give us a call at 612-315-2894 or e-mail us at travel@knowmadadventures.com, we’re always happy to talk travel.